The Daewoo KOM9F85 is designed for heavy duty commercial and industrial locations. It has a dual emission top and bottom energy feed. It has a 1850W power output and 27 litre capacity. 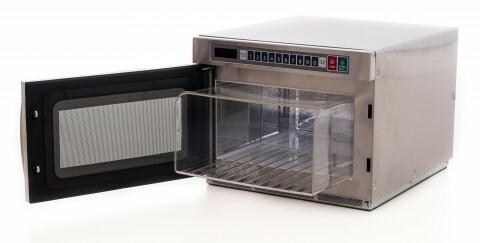 This commercial microwave oven is built to last, featuring an easy to maintain stainless steel cavity/cabinet which is additionally protected with a cavity liner, as well as a 3 year manufacturer’s on-site warranty. NSF Approved Microsave Cavity Liner saves you time and money by protecting the cavities of commercial microwave ovens from burnt food particles and spillages, increasing hygiene while reducing the need for repairs and downtime spent cleaning.